No I'm not downunder...not sure I want to be with snowstorms and earthquakes.....but Destination Art IS from downunder...and you know how I love to support my fellow Aussies and kiwis! Please go and take a look on their blog and say a friendly hello while you're there! ....so for those of you talented and very organised people...dare I suggest you go make some valentines cards super early??? The Class descriptions are up for our October ArtsyCrafts . 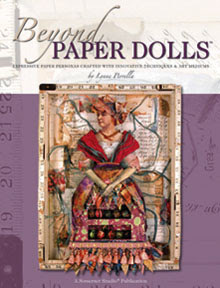 You can go here to the PaperArtsy Website to see the class descriptions and cost, but you will not be able to add items to your basket to purchase until 8pm this evening. The Newport Pagnell event is being sold as an entire weekend, and at the Warrington event you can book anything from 1-3 days, with any combination of teacher(s). You still need to book your accommodation with DeVere Venues yourself if you require it. Saturday Class: For the Birds Create a rather large birdhouse (A4 size tall) from our bespoke wood pattern, and decorate with many of our favourite and several brand new techniques with Fresco Finish paint and metal. 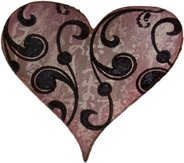 We also manage to sneak in some fabulous fabric embellishments that will certainly add a soft touch, and you will adore! We have lots of surprises wrapped up in this class. Bring your biggest suitcase to get this baby home in! Sunday Class: Industrial Chic A fun class with lashings of industrial vintage steam-punk. There will be some elements and techniques familiar to you, but we have lots of uniquely sourced items incorporated into this assemblage style project. We also will be using metal elements, and you'll get quite a bit more than you bargained for in this class....think DIY meets vintage style crafting. We are definitely outside (and all over) the boxes on this project, but we know you will very much enjoy the process along with us. Oh and a hot new Fresco Paint technique in this project too. Another 3D decent sized project to take home with you. Lynne Perrella will teach 3 separate classes only at the DeVere Daresbury park venue, near Warrington. Friday Class: Shades of Autumn Triptych Create a beautiful and evocative accessory for a quiet corner of your home - plus enjoy a whole day learning Lynne's ideas for layering, using paints, rubber stamps and readily available craft supplies. Getting a lavish, complex surface is easier than you might think. Learn from Lynne Perrella her low-tech ideas, and enjoy the day creating something very unique and special for your home. If you wish, you can bring along a special, significant photo (vintage or Black & White perhaps) to use as the focal point with the decorated triptych as a stunning backdrop. Saturday Class: Secret Garden Shadow-box: Celebrate your love of rich colours and tactile embellishments with this contemporary shadow-box that has all the charm of a Victorian-era antique. Learn about layering, using paints, papers, found objects and how to work creatively with readily available craft supplies. 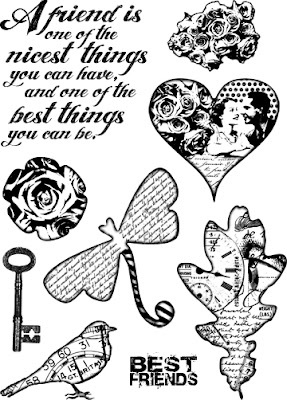 Plus, learn how to spot the full potential of each rubber stamps. A full day of learning, exploring, experimenting and digging deep....for seekers and adventurers. This project final size is 32cm wide by 42cm tall about 4cm deep. 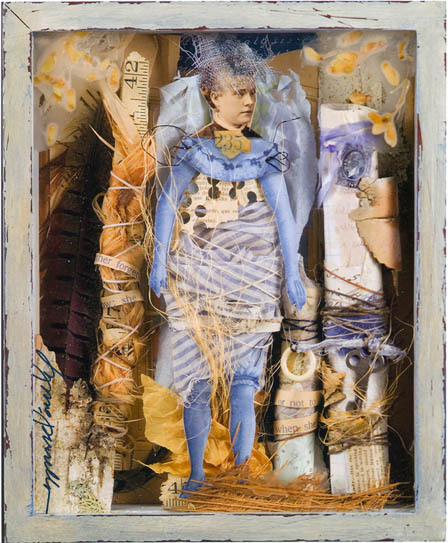 Sunday Class: Ephemeral Assemblage: Working dimensionally is a wonderful way to pull out your long accumulated treasures ready to relocate them in thier final home created lovingly by you. 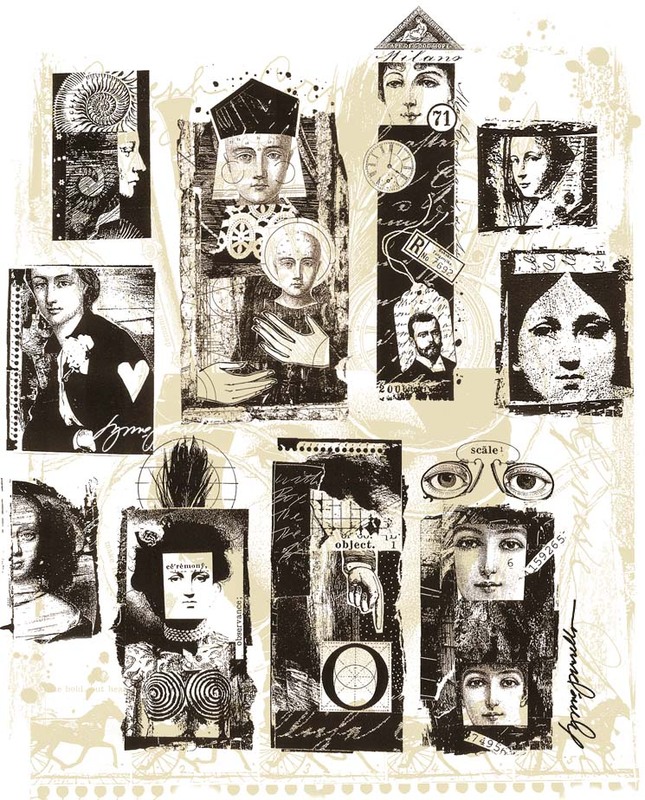 Treasures are rediscovered and assembled to create a piece of art that could also have a significant meaning for you in how you have arranged the message within. 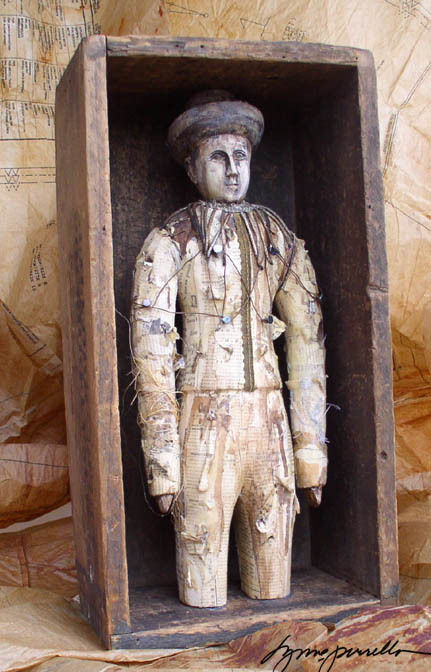 Please bring any items of personal significance to you, or trinkets you have collected that you may wish to incorporate such as vintage papers, twines, buttons, threads, fibres etc. Lets find the charm within our neglected and easily overlooked items and bring new life and joy to them. Class Supplies - we are well known for our very generous availability of supplies we provide for you to use: paintbrushes, paint, ink and lots lots more, if you need it, we will have it here. You don;t need to bring much, you will need the space in your suitcase to take stuff home...these are all quite big projects this time around. Big is better right!! Booking opens tonight at 8.00pm (London time) here . I do not expect it to be an online battle to get a place, but we do expect Lynne's classes to fill quickly as there are only 25 places available for each day. Remember you will automatically get a 10% discount when you book 2 days or more for both events. If all goes smoothly, the cart should do this automatically for you...(I have everything crossed that I have set up the shopping cart correctly). If there are any hiccups, don't panic, we can easily make adjustments retrospectively to any order before we bill your card - as long as you don't use paypal. Please make sure you read through all the information before booking either here, or on my blog here in a previous post. And we have even more surprises up our sneaky sleeves in store for you at the weekend that we still haven't revealed...it's all GOOD!! Finally our big secret is out.....I am utterly thrilled to announce that one of my all time most favourite altered artists is coming to teach at ArtsyCrafts. Yes it's true, the Lynne Perrella will be here to teach classes alongside our regular ArtsyCrafts October event at the Warrington venue on October 14, 15, 16th. To say my mind flipped when an email from her landed in my inbox on the 6th of October last year asking if we would be interested in hosting her for some classes ....well it wasn't just flipping... I was screaming down the phone to Lin and running all over the house like a total nutter! Excited! MUCH!!! And I still haven't calmed down! There are 2 people whose work has had a huge impact on my own creativity, and Lynne is one of those people, so for me personally, this is such a delight to be able to meet her and bring her to the UK so you can learn direct from her yourselves. yet across all these different styles/ methods, she still has her uniqueness etched in everything she does. She is truly original in her style, and I think has always been held in high regard an iconic muse for many crafters all over the world. She has shared so willingly her creativity via many books and numerous Stampington publications. And of course, I adore her striking stamp designs from her Acey Deucy collection; they are some of my most favourite and most-used stamps in my collection. Lynne is so keen to bring to you 3 different full-day classes and I know you will absolutely enjoy every minute with her. Her style is such a perfect fit with ArtsyCrafts ('mistakes' are a great learning opportunity is part of her mantra too), and yet she will bring something very new to this ArtsyCrafts. 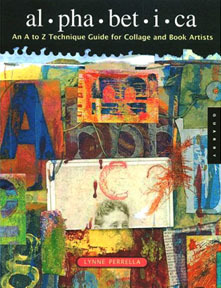 Obviously you will enjoy learning her tips and techniques of creating a unique-to-you project under her guidance and encouragement, but we are so thrilled that her specialist skills in the specific area of collage/ assemblage are ideas that we have note explored at ArtsyCrafts before. So to learn from the number one mixed media expert with papers and paints is such an awesome opportunity for us all. Please do take some time to go and check out her site here to get an idea of what she creates. All the pictures you see on here are just a small sampling of her beautiful work. 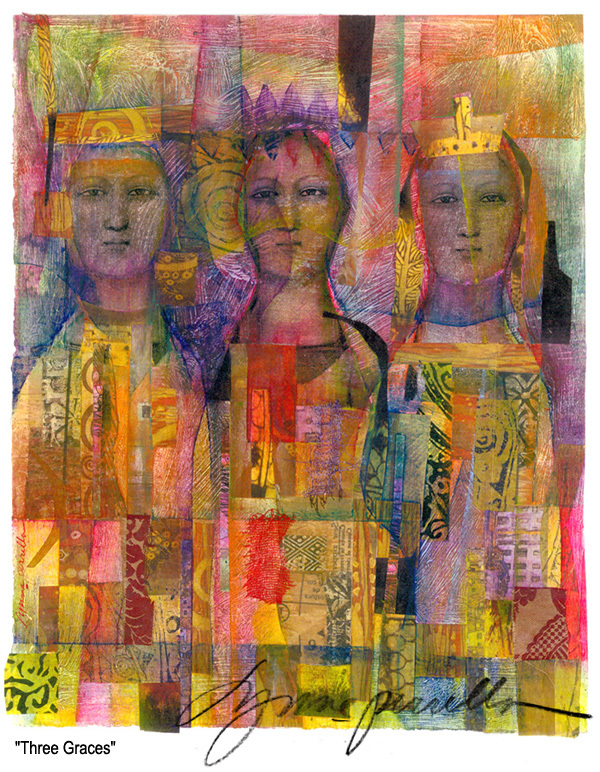 At the Warrington ArtsyCrafts, Lin and I will teach two different 1 day classes on October 15th, 16th, and in her own classroom, Lynne Perrella will teach 3 different 1 day classes on October 14, 15, 16. You will be able to book any combination of day-long classes with any combination of teachers. You might come for 1 day, or maybe 3, it's entirely up to you which class you attend each day. The maximum you will be able to attend is 3 of the 5 classes on offer. So what next? Well if you have been following us for the last couple of weeks on twitter/ facebook or here on the blog, you will already know that tickets go on sale Sunday evening (24th July) from the PaperArtsy Website. We do not know an exact time yet, as we still have some crinkles to iron out, so watch the twitter feed, but we are aiming for 8pm. At the moment you can see an information page with dates and costs, but sometime tomorrow below that information the class descriptions will be up so that you should be able to read up on the classes and can plan out which you want to book. And then at 8pm, we will release the tickets so you will be able to add classes into your basket, proceed to checkout and pay. The fastest way to book classes is to add classes to your basket, and then click 'telephone payment' at the checkout. Your order will be placed immediately. We will then call you sometime next week for your credit card details and process your payment over the phone. It is equally as fast (only for people in the UK) if you select 'bank online transfer' (BACS) but this does require you actually go online and transfer money into our account, so this is not reccomended for EU or international customers. If you wish to pay online with your credit card, please use 'secureform' this is a third party secure payment gateway. Once we have received your order, and we are ready to bill your card, we then can then approve your card to be charged sometime later this week. Paypal is not ideal for various reasons that I won't bore you with, but in this situation it is slow as you have to leave our website to go to paypal, log in to paypal, make payment and then eventually come back to our site when finally your shopping basket/ waiting order will recognise your payment was successful. We would really prefer for administrative reasons that you don't use paypal to pay for these classes if possible, especially if you are an international student who will need their invoices amended to include 20% VAT. For every single order we do like to manually check that each order is correct before we take payment. For example, that you have got the right number of classes or that nothing clashes. If you have ordered something in error, we can easily make amendments (particularly to add VAT to international orders), and check back with you BEFORE we take payment. We can't do this so easily with paypal, so this is why we are asking you to avoid the paypal gateway on this occasion. So for this post, let me leave you with some quotes from people who have attended Lynne's classes, and we hope to see many of you in the autumn at what is going to be another fabulous ArtsyCrafts event. Ohhh its number 111 WOYWW, and I realised I have 1111 followers on twitter today too!! So my desk is still somewhere in the white shed. And if you didn't see my post last week, to update you, the white shed is a portacabin that has been mainly used for storage in recent years, and my studio space went missing in there about 5 years ago. After discussing the strategy with Jo Firth-Young for about 3 years, we have taken the plunge and started the big clean up. We finally have all the furniture in the right places, and since then we have started to re-organise all the stock (non PaperArtsy stock) that we carry so that we have a much better idea of what we have, where it is and how many are in there. My studio end is a much trickier kettle of fish. So many packets of so much stuff. At the moment, on the desk, floor and shelves are baskets and baskets of like-for-like items that are all being sorted so we can then find everything new homes and better storage. So maybe next week you'll see the lost desk actually clear! Have a great week, in the meantime, pop over to Julia's to see all the other desks on show this week! So please go and take a look at the full article over on Sara's blog, and please subscribe to her feed! There are loads more ideas that you'll want to try out for yourself! Lots to tell you, but this post is all about ArtsyCrafts news. I've been getting loads of enquiries lately about the Autumn (October) ArtsyCrafts event. You guys are soooo keen! Well we do have news for you! Well...almost news! Snippets of information follow below, but for now Lin and I have just spent the last 2 days together, planning our autumn classes (loving the projects...so far think metal, fabric, beads, stamps, wood, paint, inks, papers) If you are a twitter user you will already have seen some sneaky peeks of what is to come! (see the @paperartsy timeline or the @yoursartfully timeline) for you particularly nosey peeps. ArtsyCrafts in the autumn is going to be that little bit extra special. We have exciting news...but I am not going to tell you just quite yet..... suffice to say all the booking information should be online very very very soon. October 14, 15 16, 2011 will be at DeVere Daresbury Park, Near Warrington. Our guest tutor will teach here all 3 days, and Lin and I will teach for 2 days as usual. You can use Liverpool's John Lennon airport or Manchester Airport, both are only 20 mins from this venue. And located only 1 junction from the M6 motorway. October 22, 23 2011 will be at DeVere Harben House, Newport Pagnell. This is near Milton Keynes, just off Jn14 of the M6, and about 30 mins drive from Luton Airport. 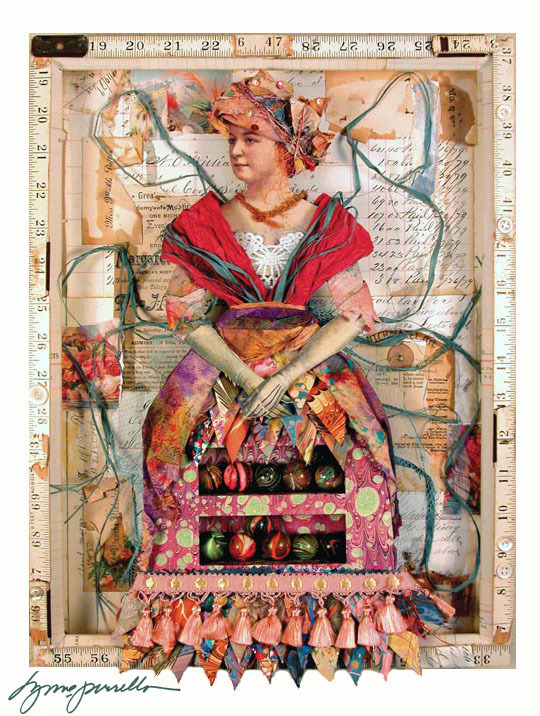 Those of you who attended the recent spring AC events will already know we have let slip that our Warrington guest tutor is an iconic muse for altered artists who has a unique style that fits beautifully with our ArtsyCrafts events. As an altered artist who works with paint, paper, stamps and more, she has a wealth of experience and I'm sure you will agree (when we tell you who she is), it will be a real privilege for you to have the opportunity to be a participant in her classes. We are utterly thrilled that she has approached us with the idea of teaching at one of our events. We are beyond excited. With only 25 spaces per day available in her classes at the Warrington event - we can't wait to tell you who it is, and you will want to be there I am sure! This is her first time teaching in the UK (she's flying in) and she also is very very excited about it! Think you know who it is??? Enter the competition below! So those hints should keep you guessing.... but for now, here is a taste of how much fun and creativity happens at our ArtsyCrafts events. For those of you who missed the May/June (Spring) ArtsyCrafts events....and I know being so close to the Tim Holtz event...many of you did opt to skip it in favour of the October event.... here are 2 wonderful videos that Mark (@Mr_PaperArtsy) put together at the event showing the projects we made and the beautiful art in progress created by the spring participants. 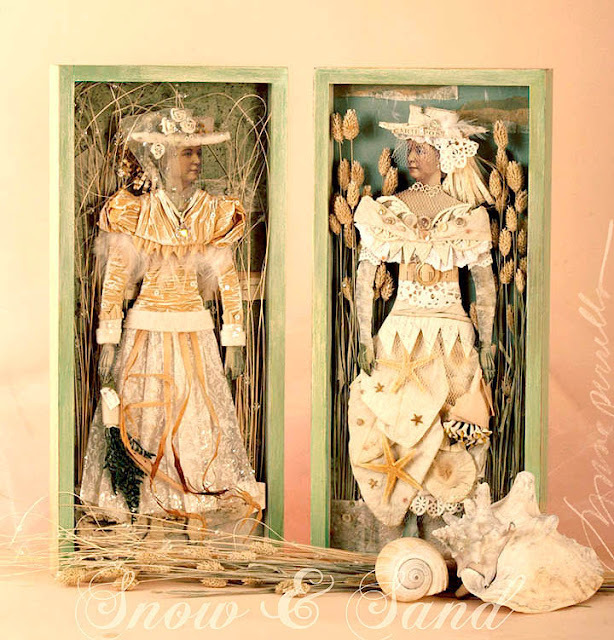 The theme in June 2011 was Fresco Lifestyle with the emphasis on learning how versatile the new PaperArtsy Fresco Chalk Acrylics are as a paint. Specifically designed to work on ALL surfaces, we particularly love how they work so well on metal and even glass or ceramic! These paints have an amazing chalk finish which is an absolute dream to stamp on top of. The colours are totally on trend and very appealing. We are so thrilled that many established paint artists, you fantastic people from blog-land and loads of our loyal customers have commented on what a fabulous paint they are to work with, so we hope you too have had a chance to play with them also. You can see the full collection here, and coming soon will be the autumn/ Christmas palette. So grab a cuppa tea or coffee, kick back and enjoy the creativity of the spring 2011 ArtsyCrafts participants. Leave a comment with your guess of who you think our guest tutor for October ArtsyCrafts will be. Next weekend all the correct answers will go into a draw, and one lucky person who gets their name drawn from the hat will get a prize of 6 fresco chalk finish acrylic paints of their choice.....which means that next weekend we will announce WHO our guest tutor is and when you can book her classes.....I can't wait to see the looks on your faces!! Its going to be beyond incredible....seriously!! Day 1: She is an American who has never taught in the UK before. Day 2: This artist has regularly featured in Stampington publications, including the Iconic 'True Colours'. Day 4: Our guest tutor is well known for her striking use of colour, collaged and painted papers, and frequently uses 3D ephemera in her projects. 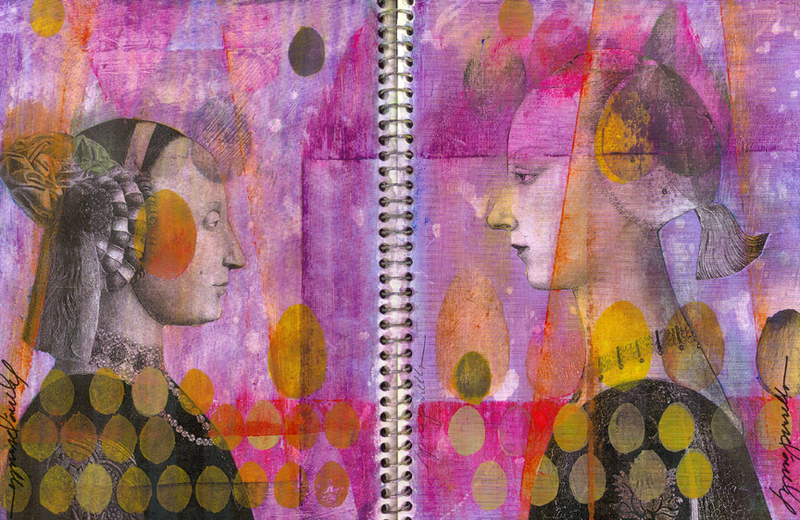 Day 5: She has written 5 mixed media books, and contributed to more than a dozen other books. Day 6: Our tutor for October comes from Columbia County, New York...who is she??? Have u got it sussed yet? DAY 7: Yes!! Its Lynne Perella!! See the PaperArtsy Website here for more information, booking etc. The competition is now closed, and the winner will be announced on Sunday plus ArtsyCrafts Tickets will go on sale on Sunday from the PaperArtsy Website. As you may have noticed from my looong absence (OK so you didn't even notice...) but it has been about a year since I last saw my workdesk...and maybe 2 years since I last used it. Shocking but true, (and lucky for me there are many more than just 1 desk to choose from for me here at PA HQ)....but the sad truth remains that my real, proper, official, studio desk has been missing in action for at least 3 years. ....being of a sharing disposition, I decided if I documented the shed clean-up progress here then maybe I will get to use my desk at some point in the next few weeks! We can only live in hope!! Tuesday (yesterday), and with 2 elves to hand and with a day of no-rain ahead of us, Jo returned to the fold...and before her arrival the elves and I got most of the stuff out of the shed...ready for boss-shed-supervisor to advise where we were going to re-position the furniture into the new arrangement.....whihc of course she had artistically mapped out on on a special piece of graph paper earlier - her area of experteeeeeze ! So the pics above are all how the shed looks as of today. This is the progress after 6 or 7 days of slog. Still not feeling the love for the storage/studio space....and still think we have at least another week ahead of toil....we'll keep you posted! So maybe we'll have a celebratory get together here at PA HQ once the project is completed! Pimms anyone??? Do you think our boss mama from the Stamping Ground would be happy to drop on by for a test-drive of our upgraded studio...loads of space down here on the farm for a summer-shed par-tay....! Watch this space for next week's installment!